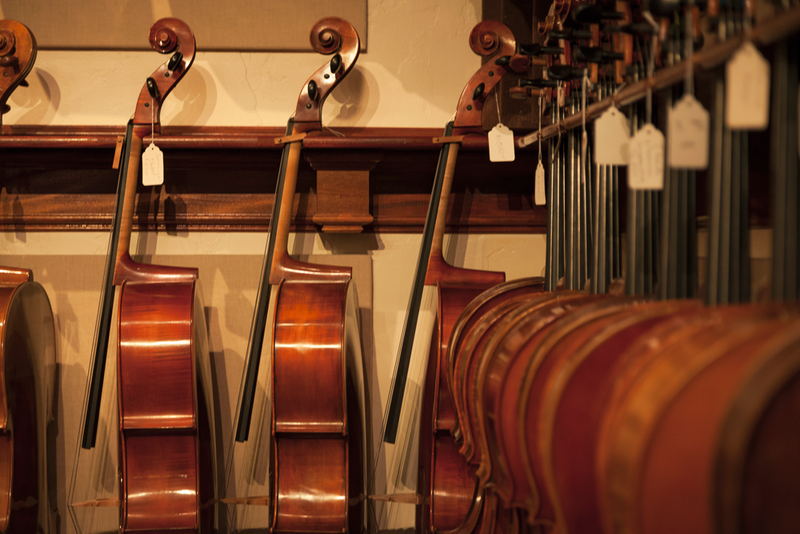 Benning Violins specializes in the sale of rare and fine violins, violas, cellos and bows. Our Catalog is one of the largest in the world, offering professionals a wide selection of fine violins, violas, cellos and bows for sale crafted by masters of the last several hundred years. It also includes instruments by contemporary masters including our own, Eric Benning. 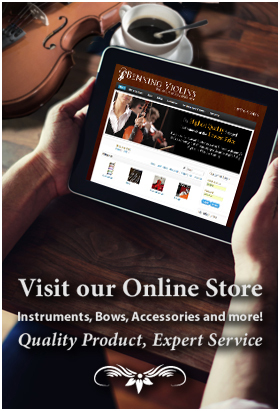 Our catalog is regularly maintained and all fine instruments and bows featured are available for examination, trial and purchase. We also offer a wide array of fine instruments not included in our catalog - at all cost ranges and for all skill levels - suitable for the beginner to the serious amateur. In student models, we carry inexpensive outfits set up in our workshop to our specifications from a number of different countries. All instruments have been meticulously set up to their exacting specifications before addition to the catalog or offered for sale. All cataloged instruments and bows are available for examination and trial. If you wish to inquire further about a specific instrument, please visit us at our studio or contact us in order to schedule an appointment.